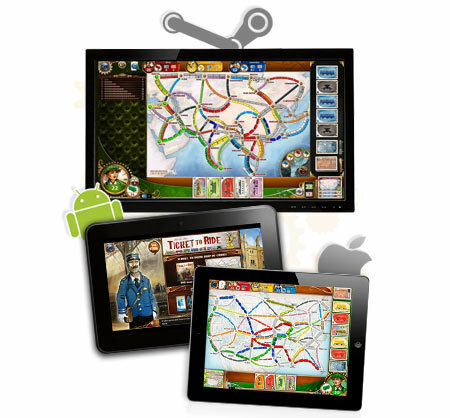 Summer’s here and the time is right for a Ticket to Ride Digital Summer Sale. For a very limited time, Ticket to Ride on Steam (PC, Mac and Linux) iPad and Android (via Google Play) are available for 50% off the regular price. plus you can pick up additional digital maps and variants, including Asia, Europe, Switzerland, and USA 1910. It’s time to get ready for a summer of great gaming. 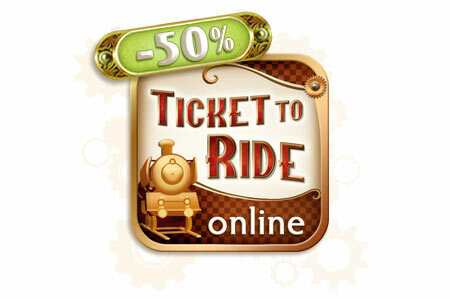 Hop on board the Ticket to Ride Summer Sale! This entry was posted on Tuesday, June 24th, 2014 at 11:09 and is filed under Days of Wonder Online, Divers, Games, News, Ticket to Ride. You can follow any responses to this entry through the RSS 2.0 feed. Both comments and pings are currently closed. Thats great! Long time boardgame and ios verson player myself but when can we expect the other TtR expansions for the app? Awesome! Does this include the expansions too? Are the IAP also on sale for iOS? It appears that only the main game is on sale. The in app purchase prices are the same as before. Typically I wouldn’t read article with blogs, however wish to point out that this kind of write-up pretty forced me to view as well as accomplish that! Ones crafting style has become pleasantly surprised us. Cheers, rather wonderful article. The discount does not work for users of the main installed game. Adds-ons must be paid as normal. Sh#t. Ideally a digital game ought to have the option of generating a new map every time. Why are the expansion maps on sale 50% off onSsteam but not on the iPad version. Bought the expansions I was missing on Steam and was ready to buy them all for the iPad too but realized those aren’t on sale. Major bummer and lost sale for you. I’m already resigned to the fact that I have to buy them all twice so I can play on my computer and on my ipad.